I am a fine art printmaker. What does that mean? 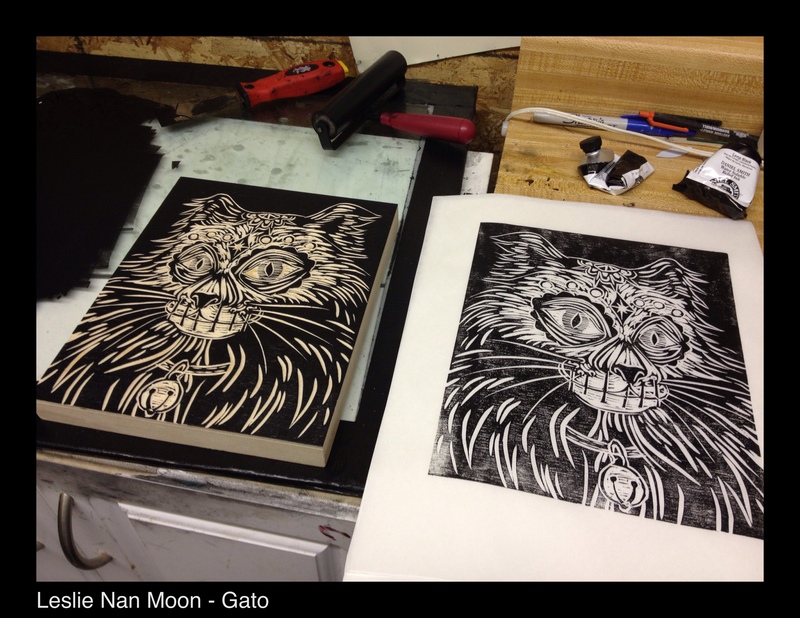 I work primarily in linocuts and woodcuts (known as relief printmaking). I first draw my image and then transfer it to either a piece of linoleum or wood. Using cutting tools I carve my design into the block. Once I have finished carving I roll out ink onto the block, lay a piece of paper down and then rub the back (transferring the ink from the block to the paper). I have to repeat this process for every print I want. That’s why each print is an original piece of art, not a reproduction. Each time it is done by my hand. 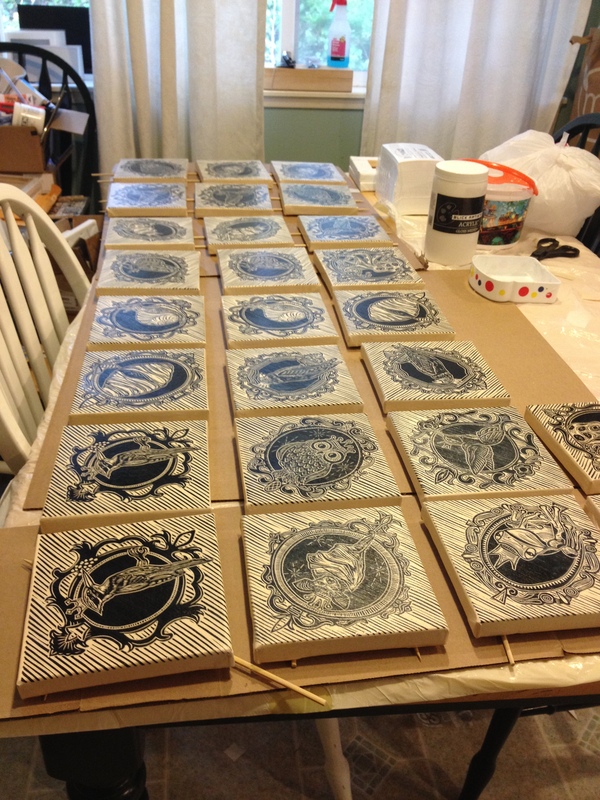 A few years ago I started wrapping my original linocuts onto prestretched canvas. I like this method because it takes traditional framing out of the picture. Thank you so much for your interest in my art! I do have other pieces in the series that we’re not at the café because they sold recently. So I was ready to replenish. I also have plans for many more in the series! Let me know if there’s something you’d like to see! 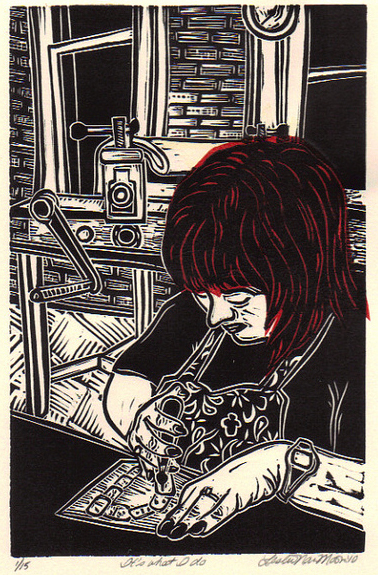 I love linocuts and woodcuts. Yours are tremendous. Highest quality. All the best to you. Thank you so much!!!! Happy New Year!